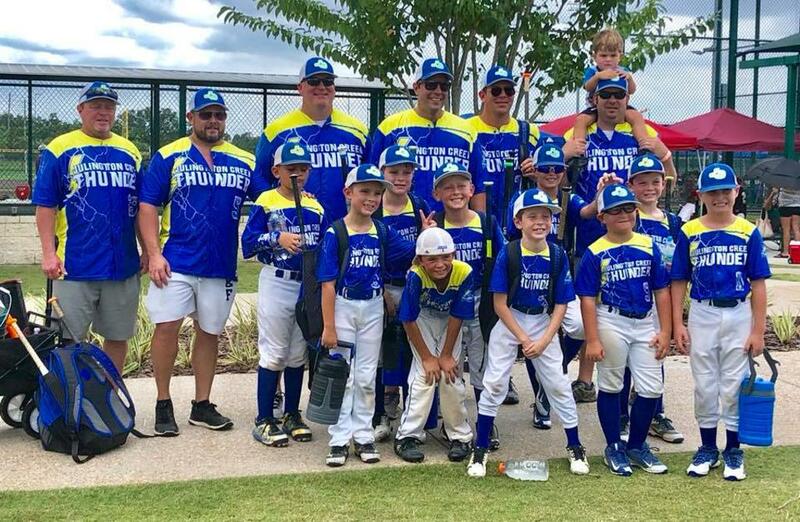 JCB 8U Thunder went undefeated taking 1st place in the 12-team Nations Orlando Summer Slugfest tournament to cap off their 2018 AllStar season. The Thunder finished with a record of (23-6) including (3) 1st place Championships and (1) 2nd place finish. Congratulations to Chase #3, Caden #4, Luca #5, Jake #7, Travis #8, Merritt #10, Keller #11, Michael #15, Brayden #22, Rhett #29, Sebastain #44, and Presely #77 on their remarkable run and representing the JCB 8UA Rookies Division!